Consumers are widely recommended to contribute around 15% of their paycheck to a retirement plan. The question whether to pick a ROTH IRA or a traditional IRA does not have a definite answer. For instance, it depends on whether one’s future [retirement] income is expected to in a higher tax bracket (ROTH) or a lower tax bracket (traditional), or whether one intends to live in a state with no income tax but high sales tax (traditional) or vice-a-versa (ROTH). Finally it depends on any future changes to the tax laws (25% sales tax, anyone? ), so it is a difficult question which many experts have weighed in on. For extremely early retirement, it is a lot simpler. 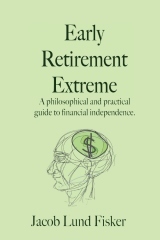 Undoubtedly extreme early retirees will have learned to minimize their expenses to a level comparable to poverty. This means we get all the tax benefits of the poor while having lots of money. Extremely early retirement planning thus falls in three stages. While having a W-2 income, save 50-70% of the income and maximize traditional IRA or 401(k) contributions and put the rest in taxable accounts. Personally, I have a 401(k) and a traditional IRA. I will likely open a high-deductible HSA plan soon. I also have a HSA. I am not getting a ROTH IRA, yet. The taxable accounts should carry one from early retirement age (30ish) to 59.5 which frees the tax-sponsored plans from early withdrawal penalties. Once retired one will likely drop several tax brackets down to paying no taxes at all. Given a small income (*), I currently estimate from eyeballing the standard deductions on a 1040 that a single should be able to make $12,250 (twice for couples) before paying anything in taxes (standard deduction + IRA + HSA). Since any extreme early retiree worth his or her salt can live on less than that, the excess can be spent to convert a traditional IRA into a ROTH IRA tax free. Once reaching 59.5, this money can be taken out of the ROTH tax free. Upon reaching 65, money can also be taken out of the HSA and spent on non-health without penalty. (*) A small income allowing one to take the deductions should not be too hard to come by presuming that one stays active. For instance, I saw an advertisement to lead a group of rookie cyclists on a Saturday tour, there’s dog walking, news paper routes, sign spinning (ha! ), etc. The more ambitious might opt for freelancing and consulting. Using FIRECalc, I note that I now have enough money in my taxable accounts to sustain myself for 60 years after which I intend to be dead forever . However, I fully intend to take advantage of the above scheme to escape some capital gains tax. 20 users responded in " Choosing a retirement plan for extremely early retirement "
Thank you for being a continued source of inspiration – and lowering the bar:) My goal is to be out of the 8-5 by this summer. My No. One retirement plan is to not require much cash – I was down to $1,300/month & now have a new challenge of $1,000 (I love the challenge). Honestly, how hard could it be to make that amount of money and not touch capital? I can taste the freedom of Time to pursue hobbies with a personal value (carpentry, gardening, cooking, the list goes on & on) = RICH life. 1. I can’t think of a reason why you wouldn’t want to get yoself into a Roth IRA early and often. Since you can always withdraw your *contributions* to a Roth IRA (early and w/o penalty), there really isn’t any reason why you’d want to keep what you could contribute in a taxable account instead. Contribute now, enjoy tax-free income inside the Roth IRA, and if you need the money pre-59.5, you can get at it w/o penalty. Now, if you’re looking to use your IRA contrib for a deductible account, that’s a different equation, but I didn’t get the impression that your earned income was low enough to make deductible IRA contribs. 2. Couldn’t tell here whether you intend to be earning W-2 income in this stage. If not, you won’t have the option of making a deductible IRA contrib (or any IRA contrib other than rollover conversion “contributions”) The figure I’m working with is $8950, standard deduction plus personal exemption. Could you line item your $12,250 for us? 3. You really don’t have to worry about W-2’ing to fully offset your deduction & exemption(s). Taxable investment income can soak it up just fine, and if not your IRA to Roth IRA rollover conversion will take care of the rest! Your paper delivery suggestion is genius! You get to bike *for* work! You’re only going to live to your 90s? I’m gunning for triple figures! Just had my last grandparent pass away at age 99, so the trend is good. We’ll see how the parentals do en route the century mark. It is wrong to take advantage of public services to which you do not contribute. If you are of able body and mind there is also something wrong with shirking productive work for the sake of selfish pursuits. If you insist on not working for money, while also having significant wealth, you are CHEATING the system. Your wealth should be taxed instead if you aren’t going to work and you aren’t going to spend your money either. Do you see how you are effectively stealing the work of others? We work hard, pay our taxes, and then are forced to share the resources with you, who strives to do as little work as possible and pay virtually no taxes. Wrong. Wrong. Wrong. Take a job with some hippie non-profit and pay your share of income taxes at least! Then you talk about minimizing estate taxes? Why? You’ll be dead. Recognize all of the great benefits you got from being the USA and how the lifestyle you strive for was facilitated by the safety, security, capitalism, and freedom provided by the tax dollars that you never contributed! I’m curious to see what logic you use to justify your position. @jane – Making $1000 a month? I’d say about 25 hours or maybe 2-3 days of work. I have also thought about volunteering for room and board, for example joining the crew here http://www.seashepherd.org . Not sure how DW would appreciate that idea, but I find it rather exciting. @steve – 1) as far as I understand I can put my $4000(2007) limit in either a ROTH or a Regular IRA. Contrary to popular opinion scientists don’t make a lot of money. I make about as much as a long-haul trucker except that I also pay rent. Until recently DW worked as a grad student (they get paid even less). DW could take full deduction and I could deduct almost all of my IRA contribution. But of course, if our AGI was $103k I would go for the ROTH. 2) Yup, 1040, lines 25, 32 and 40 for an individual. 3) I think I need a W-2 income to contribute to the IRA. I’m not sure about the HSA though. The plan is to work enough to fully fund these and then live off of the investment income. 4) I saw an even better job on craigslist. Unfortunately it was in the wrong city, but the job involved leading a group of fitness (no hammering!) cyclists for a fitness ride every Saturday. @adfecto – I guess you’re a socialist 😉 (I never would have suspected that!). What I see is how the government effectively steals my work and how it has been doing so for many years. Robbing is perhaps a better term since I would be going to jail at gun point if I refused to pay taxes. If there was an option to pay 0% taxes and then pay per use, I would take it (if I could please have the $50k+ I have paid in taxes so far back). It is not like these services would not exist (if there was a demand for them) if there were no government. The government just takes the money from productive people and gives it to less productive people. Insofar the market is efficient this is true by definition (I do support tax for externalities like pollution and defense). Well, this atlas shrugged. Actually one of the great benefits I get from being in the USA is in paying for less in tax than I would in Europe. People are economically freer in the US. Seriously, I don’t see the problem for those that can achieve it to take advantage of what options we give them in the US. He’s not doing anything illegal or immoral. It does seem best that Early Retirees would use their time to do things beside serving themselves and I suspect Jacob will and is already. Someone who has the discipline & knowledge to become retired at a very early age, will go quite crazy doing nothing. Also, I don’t remember reading anywhere that anyone is required to pay taxes when their income is low, no matter how they earn that income. Btw…Jacob, thanks for the blog. I find it interesting and thought provoking many times. I will NOT be retiring early, since I’ve chosen to have a big brood instead. But I find inspiration to reach for my own early retirement (65?) just by reading. I don’t know yet when I’ll retire as I’m working on stupid debt instead but thanks for giving me ideas anyway. Adfecto, are you or are you not a True Born Son of Liberty? There is nothing more American than resisting, opposing, avoiding, and minimizing taxes — that’s how it all started. (And notice “evading” is not on the list — no lawbreaking required.) Taxes, either when assessed or paid, are neither moral nor immoral. Have you looked at USC Title 26? If so, have you ever seen anything more convoluted? Your mission, should you choose to accept it, is to pay as little tax as possible, and strain the “system” you apparently love until it breaks. Maybe then you’ll vote legislators into office who will unscrew the tax code. Until then, I intend to exploit the bejesus out of USC Title 26. I understand the point that Jacob is adhering to the letter of the law. I am not a socialist, but I do adhere to a philosophy that we have a responsibility to our friends, neighbors, and countrymen, and paying taxes is a part of that. I see nothing wrong with a person paying only their “fair share” of taxes. I just think we may define what is fair differently. In a perfect utopia I’d support the Libertarian ideals to limit government and depend on individuals to always do the right thing. The problem is that in reality individuals are happy to trounce on the rights of others and ignore the common good. Schools, police, roads, libraries, etc are items that absolutely benefit the common good and it is your duty to pay for these services. The environment and defense are areas that require federal oversight as well. Even if you don’t use these services directly they provide a broad lift to our entire populous, and you benefit from the indirect affects. There is also the issue of tyranny of the majority. What that means is that rural areas would never get phone service and electricity. Cyclists would never get bike lanes (since most people drive cars, right?). Corporations would run unchecked to discriminate, commit accounting fraud, violently put down unions, and ignore the safety of workers. OSHA, SEC, FDA, EPA, FAA, DoE, FEMA, NASA, HUD, FHA, FDIC, etc all of these agencies and organizations do good things! These responsibilities are not easily replicated by the private sector. Left unchecked the little guy would get squashed. Bureaucracy is expensive but it is sometime still the best way to do important work. Moving to a pay for service model would certainly cause many people slip through the cracks, not to mention how it would hurt social mobility and the equality of our society. Do you want to deal with a police officer that is paid by general tax revenue or a neighborhood vigilante group? Do you want to haggle about prices before the firemen will douse the flames? Liberty is about having the power to affect change and not about making sure you don’t pay for a library you don’t personally use. It is difficult to quantify the right amount of taxes but I have my ideas. To make it short and sweet, everyone pays according to their means (wealth AND income) but not according to the skill of their CPA or CFP. Does ‘extremely early retirement’ HAVE to mean living off a small income? Not if my experience is any guide: that is, not if you’ve praciced “extremely rewarding income-producing investment activities” in the … oh, let’s say … 7 years leading up to your planned “extremely early retirement” date. Is the goal to reduce your expenses to the point that it takes very little income to support yourself? Personally, I want to maintain a particular lifestyle in retirement that provides choices. I travel now and wish to continue traveling in retirement. More importantly what do you plan to do in retirement? @AJC: the “Extreme” part of ERE refers to the time it takes to reach Financial Independence (be able to survive off your assets). ERE: 5-10 years, ER: 15-30 years, R: 40+ years. You could live on any amount you wish, as long as you are FI, and still be ERE. @krantcents: The goal is to reach FI at the earliest possible moment so one doesn’t have to work if one doesn’t want to. You have to weigh your values; if traveling in “retirement” is more important to you than quitting your job at the earliest possible moment, by all means include it in your budget and work longer to save for it. Jacob is retired already, he spends his time sailing and practicing martial arts and stuff. @Steve: “Affect” is correct in the original sentence. Affect=verb, effect=noun. Adfecto, you say it well, and I’m inclined to agree. We are all in this together, regardless if it benefits us individually/monetarily at a particular point in time or not. I’m fine with paying taxes. I just wish the loopholes would be closed (especially for large corporations) and the tax code simplified. @krantcents – Well, my personal goal is to reduce economic dependence, that is, the need to consume the products of others to nearly zero to become as resilient as possible in the face of peak oil, peak water, and climate change. This is something that will affect all of those who are still alive 20-50 years from now. Financial independence is the first step towards this. FI is also a good starting point for travel. For instance, I can travel whenever I want to without considering whether I have vacation time or need to be back for work. I could even relocate for extended periods. Say I wanted to travel to France. In this case, just cancel the home/lease, buy a ticket and off you go. It will cost far less this way without all the constraints of an earn-spend worker/consumer. @Adfecto: I completely agree with you, and well stated and replied. Trying to get out of paying tax is completely immoral and parasitical, unless you don’t use society’s services or want anarchy, rather than liberty, if that’s your thing. (Btw., Steve Austin: Trying to force changes in the system by parasitical sabotage neither seems moral nor efficient.) That is obvious but is gets less obvious if one tries to evaluate how much we actually contribute to society compared to how much we drain from it. If you have a huge salary, you might be paying huge taxes and buying stuff (redistributing the money), but is your work input really worth that salary? For instance, I’m not always sure that mine is and would be happy to have 2/3 or even 1/2 of my salary. In fact, I really doubt that many people actually contribute anything close to what they take… in fact, our riches are temporarily inflated by parasitically sucking our environment dry of value; when oil, minerals, biodiversity, unpolluted ecosystems etc. are gone, than the balloon might burst, leaving us in free fall. Maybe too bleak, I’m not sure: it’s hard to see past the indoctrinated (but ridiculous) myth of “continual upwards progress”. Now, if you live in super-frugal mode, then you will be taking much less from society than most: your resource use will be less; you will not be ripping up asphalt with a car to the same degree; and so on. Another thing to consider is that tax laws might not be fair but they should, if your society is not ruled by corruptness, reflect to some degree the morals agreed on by society. Thus, if you happen legally not to pay taxes, then this may in a weak sense be morally valid in your society. However, that is very different from actually trying to avoid taxes – which is perfectly immoral. Of course, though, one should try to be guided by stronger morals than these watered down and practified ones. Traditionally, the retired are exempt from moral obligations to contribute: the idea is that they have already contributed enough. EREs are in a different category: they have not paid the same amount of taxes, mortgage payments, utility bills, grocery bills, frivolous spending, etc. ; nor have they worked the same hours. However, are these sort of metrics really useful? To me, they show how our present societies catastrophically focus on the wrong things. I am convinced that many, perhaps most, people live their working lives without contributing any net value: you have come up with a new ad campaign or Igadget? Whoopee! That’s no net contribution. To make things worse, the our system itself requires far too much, so even if you are doing good, then it might be that that good should be superfluous. Eg., if you are a road worker, then you might be doing net good building roads, but those roads shouldn’t have nearly as much ravaging traffic on them in the first place – in fact, those roads shoud perhaps not even be there. Another example: you are a doctor or policeman and are doing net good in society – but it would be even better if people were less sick and/or poor. One conclusion is that normal people’s possible net contribution may often be found outside of their work sphere, and that is no different for EREs. Whether one is ERE or not, one should try to contribute. Finally, if you do intend to leech on the system by living super-frugally but still using public services, then that is bad – but it is a miniscule evil compared to the HUGE evils of the super-rich and of big companies that pay next to nothing compared to their leechings. No excuse for tiny leeching, but people tend to rant at welfare mothers (the unfair cliche) and ignore – yeah, even defend and glorify – the real criminals. Your 50,000+that you have contributed covers your education, Jacob. Dorms, libraries, professors…actually, it probably didn’t. What about the library, police and probably internet that you use that you do not contribute towards by paying taxes. A flat tax of 10% on everything for everyone. That is the best way to go. It’s interesting that this particular post attracted comments about net contribution/consumption. Your net input/output from society is a lot more complicated than just the amount of economic value you took and created for society. What about net pollution? The number of animals you have killed in your lifetime (indirectly through meat consumption)? The number of workers exploited by your consumerism? You can argue that by not working you are allowing another person to have a job in this very scarce job market. With 7 billion+ people on earth now, and with technology making human labor ever more unnecessary, paid labor is something harder to come by. And what about having children? Is that a net contribution or are you contributing further to overpopulation? I always hear arguments of how other people’s children will be contributing tax payers in the future. Can they guarantee that? Have their children been given WIC, will the children grow up to be entrepreneurs or criminals? WIll they grow up costing society more or will they be net producers? In my opinion, we should not measure ourselves by how much we contribute because chances are none of us are contributing anything. We are all damaging the earth we live in to one degree or another. We are all net takers from this system. By mindlessly following the consumerism culture of the last few decades or so, we are destroying the earth at a remarkable pace. Sorry for the long comment, I enjoy your blog a lot Jacob. I hope you can keep it up for a long while. I have a concern about differing Incomes and achieving Early retirement Extreme while maximizing my 401(k) and IRA. Only $8,000-$15,000 a year left over to invest in a taxable account is not so great for early retirement extreme. Though any increase in salary income will increase this amount considerably and it’s compounding! But of course that is the hardest thing to do! There is also the “5 year Grace Period” restriction on withdrawing from traditional IRA accounts; plus no ability to access any earnings in traditional IRA, that must be taken into consideration too. In order to retire in 10 years from say age 25, on only making $60k/year… it seems much harder to comprehend your guidelines, with the simple “maximize” your 401(k)/IRA. Especially with the government’s intention for everyone to work your whole life, then retire around 67 years old or longer. Should i spend my energy trying to make more money, automate and make passive my maximizing 401(k) investments, then diversify anything left in taxable? Or invest straight away into taxable into say dividend growth investments, retire extremely early in 10 years or less with no age or “grace period waiting” restrictions, with 0% taxes from a lower tax bracket, and have my growing earnings cover all my frugal expenses for an extremely early retirement life? Hey Britz, I work in engineering and urban planning I completely agree with you on the idea behind, and the practicality of taxes, particularly as they apply to the ERE concept. To add to that, I like to think what I do benefits society, and it does, I’m able to improve our infrastructure and living spaces. Yet I often wonder how much of it we actually need. If folks were to re-think infrastructure, we could be incredibly more efficient. Speaking of asphalt, I make projections on asphalt values and how many trucks, of certain axles, can use a facility before a certain grade of repaving must be done. If people knew how much corporations utilize infrastructure, versus how much taxes corporations paid… and how much we pay for maintenance, things would be different. Cool post. I graduate in Dec and May and just started working full-time; my plan is to retire in 8 yrs. Long live ERE.